AnonD-91648, 21 Dec 2012does the sony xperia x8 come in another colour like black?Yes, I have a black Xperia X8. Looks beautiful. does the sony xperia x8 come in another colour like black? *camera - basic 3mp is good enough. for picture effects go to android market and download camera applications. *based on my experience, my phone already fell on the floor (waist/chest height)more that 5 times already and its 2yrs old and it is still working fine phone's processing abilities is still ok does not freeze or run slow. just some minor scratches on the side. downloaded and installed applications in android market are saved in phone memory. that means your 2GB/8GB/16GB memory card is only useful for pictures, MP3, videos etc. you need to get your phone rooted first then upgrade to Gingerbread to have your apps saved in your memory card. battery life? depends how your phone is setup or how often do you use it for music, watching videos, taking pictures. for me, my X8 is 2yrs old and I often use it as a music player, text and call. full charged batt lasts up to 12hrs. and i think it's not bad. this phone has a fair price for its features. it is a gud phone, l have 7 months using it and the only problem is the battery life!!! kiromo, 13 Dec 2012Hi! 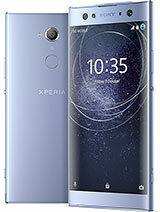 this is a concerned customer, i bought an Experia x8 barely three months ago and i guess a... moreTry repairing your phone using Sony PC Companion or Sony Update Service. If its a software issue, this should fix it. If its hardware issue, you can give it to Sony Service Centre for free repair under warranty. Of course they will fix software issues as well. This is your best option. Even then if doesn't work, someone sold you a defective piece. abhi, 13 Dec 2012i want to know how i can upgrade my xperia x8 to android 2.3please do check manufacturing date,it is like 11w44. check it, if not hard-brick phone.same happened here. Hi! this is a concerned customer, i bought an Experia x8 barely three months ago and i guess among the many phones that i have used this has given me the most headaches, 1st it goes off whenever it feels like, 2nd i cant finish making a call without going off on its self, 3rd overheating, i reported the phone to the shop where i bought and i was adviced to uninstall some applications i had installed but this didnt bare fruits, so here is my question: was these phone sold on discounted prices because they were faulty or whats wrong? i cant imagine buying a sony ericson products again.....please advice. sushil, 12 Dec 2012Frnds How Can Uadate My Android version Please tell me fastAlso, if the files are not available in Dropbox, download it from the links mentioned inside the Guide.